Mama Fashionista: It may be the end of August, but Quinn says it's better late than never to share her July Faves! 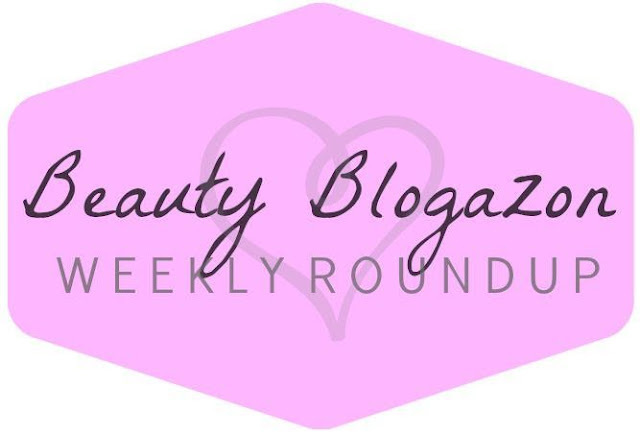 Lola's Secret Beauty Blog: Think that you can do without a toner in your skincare routine? 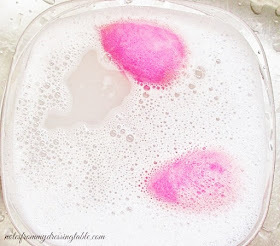 Mario Badescu Seaweed Cleansing Lotion may change your mind! Carinae L'etoile's polish stash: Pretty purple matte and pretty purple shiny shiny glitter! 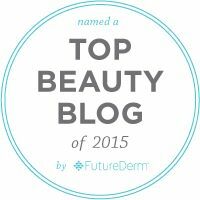 Beautyfiends: Read about the issues Julia has had with Beauty Box 5 and why she won't recommend them. 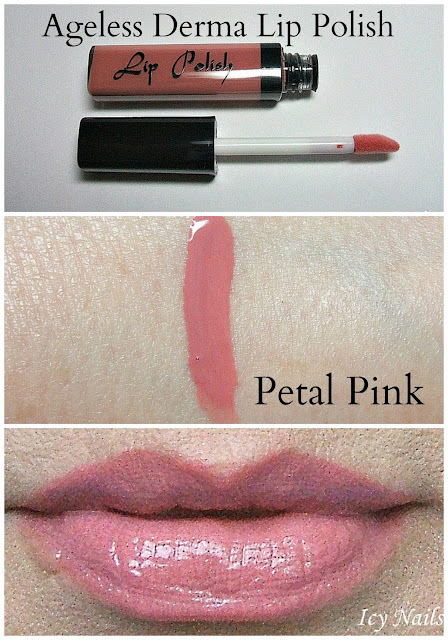 The Passenger Element: Wet n Wild Three's a Party LE-Summer Trio (swatches). Beauty Professor: The Beauty Professor has swatches every shade of the latest foundation release from YSL...the Youth Liberator Serum Foundation! 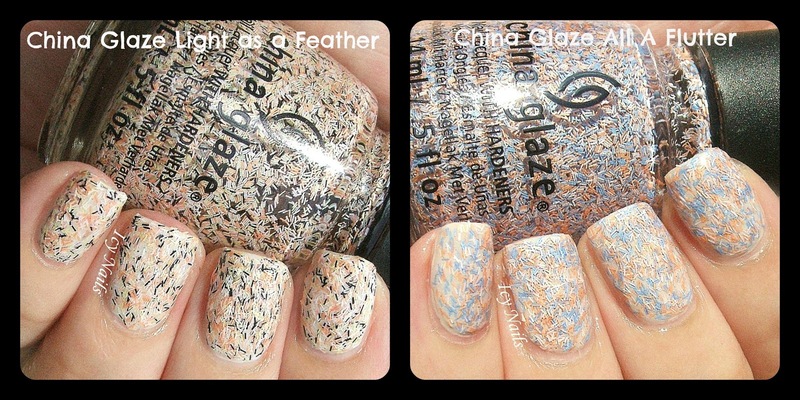 Today I have two of the new China Glaze On the Horizon polishes to share with you. These are Feathered Finish polishes, tiny, soft, matte bar glitters in coordinated colours are suspended in fluid base and when applied to the nails are supposed to look like feathers. And you know, they kind of do. 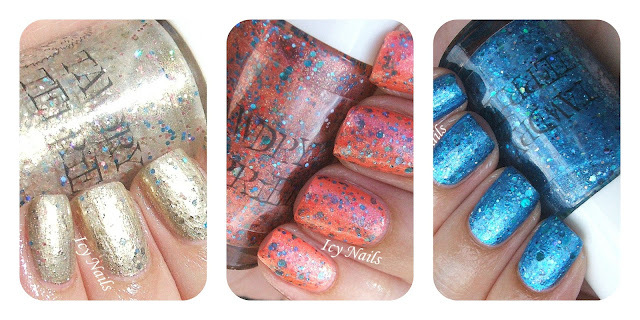 I was skeptical about this collection, I saw it on a couple of blogs and I was going to pass on it because I mean, really... How much bar glitter does one girl need? One day I was in Sally's and I saw these polishes on a display and, curious, I picked up a bottle and started swirling it around and I was pulled in by the colours and movement of the bars and suddenly, I had to have the collection. The whole collection. Good thing I had a coupon. First up I have Party Fowl, a blend of black, blue and orange bars. I am not a bird expert but this reminded me of a picture of a bird I had seen not too long ago so I went digging for it and found it. The Superb Starling has similar colouring, don't you think? I swatched China Glaze Party Fowl over my undies, one generous coat, topped with Gelous and Seche Vite. 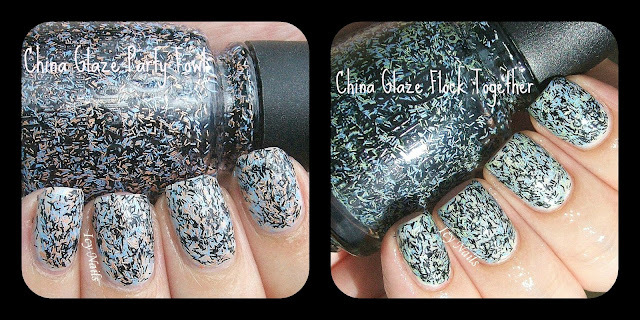 Next we have China Glaze Flock Together. This is a deeper, cooler mix of black, blue and green. This immediately reminded me of a Steller's Jay, a large, blue bird with black markings, a mohawk, a loud voice and plenty of attitude. There were jays all over the place where we lived in Nor Cal, growing up. When I was a kid, my brothers and I built simple feeders on the fence posts and put dog food on them and the jays would descend out of the pines and perch in squawking, arguing packs and gobble their treat then fly back up into the high branches and yell at us until we put more food on their platforms. This is one generous coat of China Glaze Flock Together over undies topped with Gelous and Seche Vite. The formula on these polishes is pretty nice. While it is basically a bar glitter, the bars are tiny and soft and flexible and they have movement and an almost organic feel. The base is very fluid and easy to work with, a combination of stroking and gentle placing will give a pretty even, somewhat opaque coat. Some of the polishes offer up a more opaque coat than others. You can easily add additional coats or just fill in here and there to get the look you desire. Dry time is good, these dry surprisingly smooth and one coat each of Gelous and Seche Vite made for a perfect, glassy finish. 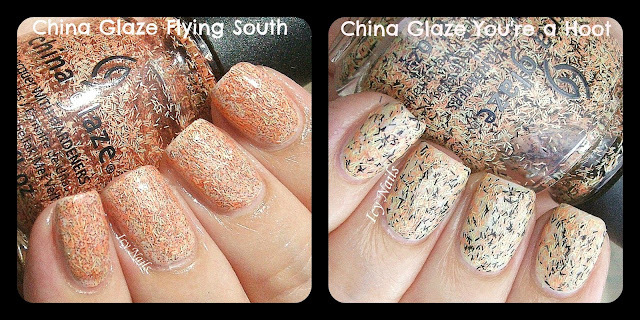 What do you think of these two China Glaze On the Horizon polishes? Do you like them? Do they make you think of feathers? Birds? That I'm a little crazy? If you are into these, you should be able to find them where you buy China Glaze. I cleaned out my local Sally's and they claimed that they weren't getting any more. (Yeah.... Right... ) But I have seen these on Amazon, I imagine that you can find them at other beauty supplies, Ulta and the like. Today I have a review of OMG Nail Strips. These are nail polish strips, available in fifty different designs from sweet to edgy to out there. The company is planning to add more, in the near future. The nail polish strips sell for $6.89 a set and there are special offers available. Shipping is free. I chose the White Floral Pattern Nail Polish Strips to try and review. They have a retro cute floral design in purple, pink, orange, green, blue and yellow on a crisp white ground. I thought that the design was fresh and fun and perfect for the Dog Days. The OMG Nail Polish Strips were packaged in a bare bones sealed plastic envelope. When OMG contacted me, they said that they were changing their packaging. No worries. There were sixteen nail polish strips on paper backing with clear plastic toppers, like any other nail polish strips. The OMG strips were quite soft and had a fairly strong vinyl scent. They were easy to apply, tho a little care is needed while forming them to the nails, as they are not as tough as some strips I have used. Customizing the size is simple, I used scissors to trim away excess material from the sides of strips that were too big, then simply did cleanup as I would with any manicure to further perfect and refine the fit and shape. Easy-peasy. These strips didn't seem to dry completely, they remained soft and dentable the whole time they were on my nails and they didn't last for long. The strips dulled and there was considerable tip wear in a day or two, with significant areas tearing away. I can't blame the strips for this. I have to chalk it up to user error. You see, someone, whose name we won't mention, failed to read the Application Instruction Page where the instructions clearly state to use top coat. Yours truly neglected that all important step. So, total fail on my part. I have no doubt that had I done as the instructions said, these adorable polish strips would have lasted a lot longer. OMG Nail Polish Strips are nice, they are pretty, easy to use and, I have no doubt, if the user follows the directions, *ahem* they will last a reasonable amount of time. The price is great, special offers are available and shipping is free. If you are interested, I recommend that you give OMG Nail Polish Strips a try. You can Like OMG Nail Strips on Facebook and follow them on Twitter. Thank you so much for stopping by and reading and have a terrific day.